As we all know, eggs are potent source of proteins. 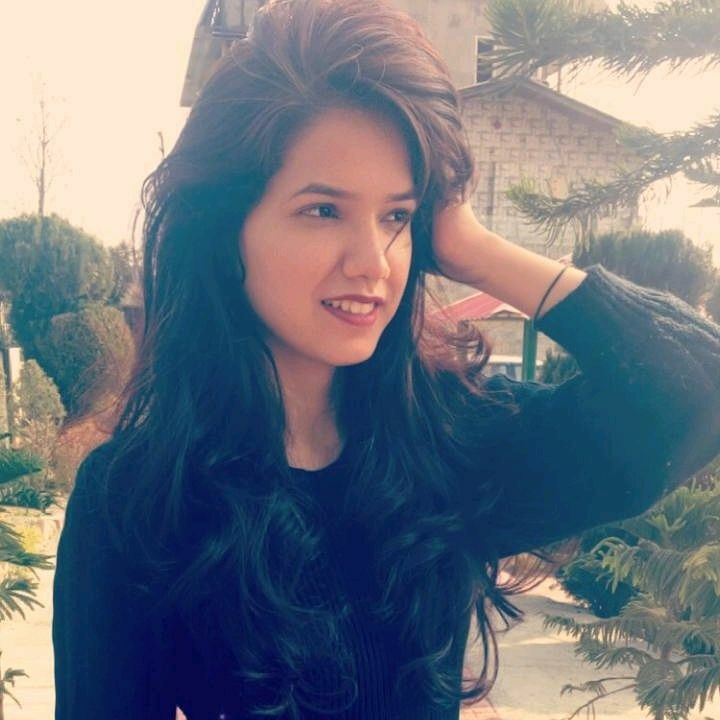 However, apart from fulfilling our daily protein requirements, eggs have several benefits for hair and skin. They are rich in Lutein (vitamin and antioxidant) and hence provide hydration and elasticity to the skin. Moreover, the high protein content in eggs can help in repairing tissues and firming skin. 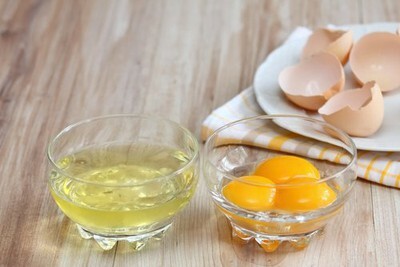 Therefore, using face masks made up of eggs can be of huge help in deep cleansing. No product in the market can beat the results gained by homemade natural masks. Get a radiant skin with the following homemade egg face masks for healthy skin. Whether you have oily, dry, or combination skin, our list has egg masks for every skin type. Benefits of this mask: There are many beauty benefits of egg white. Egg whites contain skin-friendly bacteria that fight against acne. The protein content in the egg, in turn, tightens the pores. This egg face mask for acne stops the sebum that creates blackhead to seep back into your skin. The protein also prevents wrinkles form surfacing on your skin. It’s super easy to make with minimum ingredients. This egg white face mask to fix all skin problems is perfect for oily skin. Before doing this mask, you could put a hot towel on your face to open up your pores. Add some gram flour and lemon drops into it. Use an old brush to slather on a layer of the whisked egg white on areas of your face like nose and cheeks. Take some regular tissue paper or kitchen roll, tear it up into pieces and place it on the egg whites. Then add another layer of egg white to hold the paper in place and let it harden for 20 minutes. 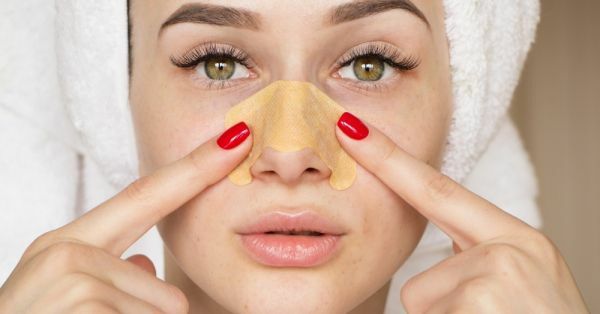 Pull it off as you would with any other pore strip and you should see a difference. After you're done, apply some tea tree oil to the areas where you had this mask on, to heal the skin even further. Benefits of this mask: This egg face mask for dry skin hydrates the skin which is very important for the skin to remain healthy. Using grapes with seeds can add help to reduce ageing signs and make the skin texture smooth & soft. Blend one egg white and seven grapes together until they form a consistent paste. Apply the mask using a facial brush or cotton pad in an upward direction. Let the mask on your face for 15 minutes. Use a moisturizer after taking off the mask. Benefits of this mask: This egg face mask nourishes the skin while tightening the pores. For combination skin, this is an ideal face mask. Keep beating an egg white until it appears white and foamy. Add 1 teaspoon of lemon juice and 1 teaspoon of honey. Use a fan brush or cotton pad to apply the face mask. Leave the mask on your face for 15 minutes. Use warm water to rinse it off. Note: If you feel any stinging with the application of this mask then you should remove it immediately. Benefits of this mask: It reduces fine lines and wrinkles. It brings a glow to the face and makes the skin firm. If you are still not sure about which skin type you have then you should go for this egg face mask. Mix one egg white, some carrot and some milk in equal proportion. Cleanse your face and apply it. Let it sit on your face for 15- 20 minutes before washing off thoroughly. Benefits of this mask: This face mask is especially for ageing skin and it helps to reduce ageing signs like wrinkles, fine lines, sagging skin, etc. Apply the mask and let it dry. After 10 minutes, rinse the mask. For the others like me, here are some pore cleansing strips that you can get! HipHop Charcoal Forehead, Nose & Chin Strips - Blackhead Remover, Rs 150. Buy it here! Charcoal Nose Mask - Blackheads Removal Strip, Rs 450. Buy it here! Tony Moly Egg Pore Nose Pack(Pack of 7), Rs 899. Buy it here!